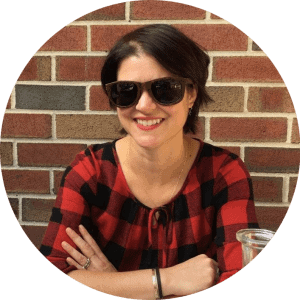 When I rolled into Washington, DC for the IACP conference a few weeks ago, I had one—well, actually three—destinations in mind for my first night in the city. On the first balmy evening of the year, a trio of hungry food writers descended upon a trio of storefronts nestled together at the end of a block in the quickly gentrifying Shaw neighborhood. Though the spots are kissing cousins, related by blood under the ownership of cocktail and spirits expert Derek Brown, each has its own theme—Eat the Rich, cocktails and raw bar; Southern Efficiency, whiskey and Southern food; Mockingbird Hill, sherry and tapas. Pick your favorite or follow our lead and do a mini bar crawl, sampling a cocktail and a few bites at each location. For the latest installment in the Snapshots series on Good. Food. 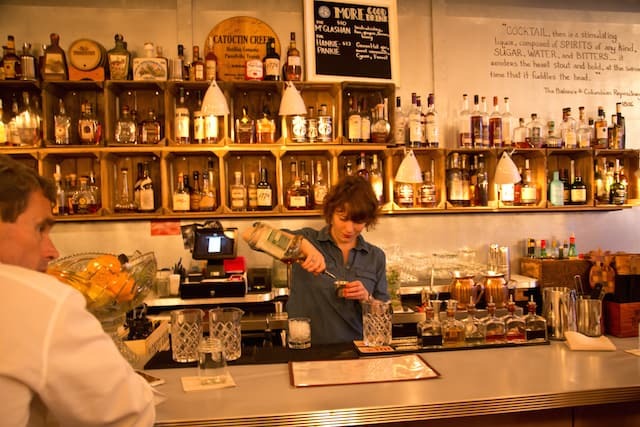 Stories., here’s a look at our evening at these three bars. You might be tempted by the redneck caviar (that’s a mound of trout roe or paddlefish caviar served with a huge bowl of potato chips for scooping) or the fluffy fried hush puppies. But if there’s one thing you should get while sipping on a cocktail at Eat the Rich, it’s the oysters. 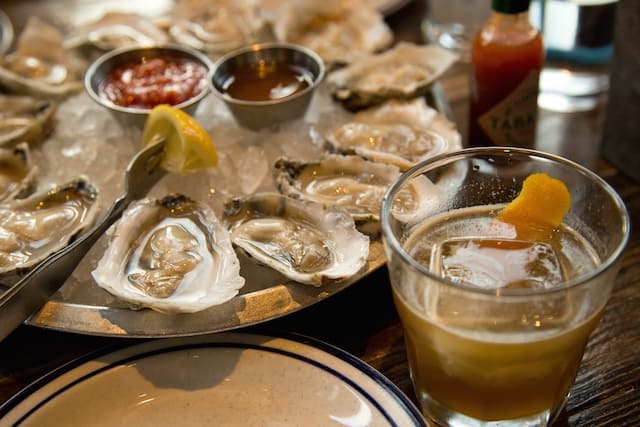 The place is co-owned by Travis Croxton, the founder of Rappahannock River Oysters, which spearheaded the revival of the Chesapeake Bay oyster industry. Their specimens are stellar examples of what they call “merroir”—terroir from a tidal standpoint—and need no accoutrements to boost their flavor. Doing our part to eat local, we slurped down a dozen Barcat oysters in seconds. Our bar crawl started at Eat the Rich because oysters seemed like the most appropriate way to begin our progressive dinner. However, we could have spent all evening at any of the three places, especially delving into the vast library of sherry at Mockingbird Hill. 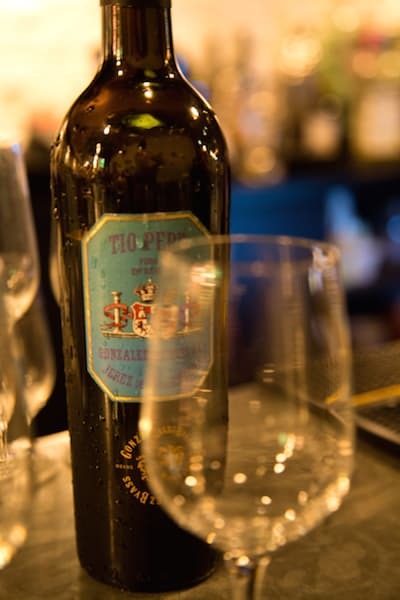 Know nothing, or next to nothing, about sherry? No worries. 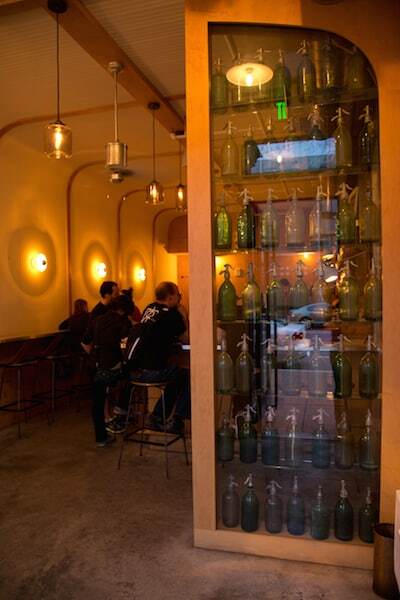 The bartenders are happy to talk you through the menu, or you can do a crash course with flights that focus on various aspects of sherry, like those that are “en rama” (unfiltered) or those that show the flavors developed through blending in the solera barrel aging system. Too much to take in? A gin and tonic on draft is just as distinctive, thanks to the house-made green apple and sage tonic. 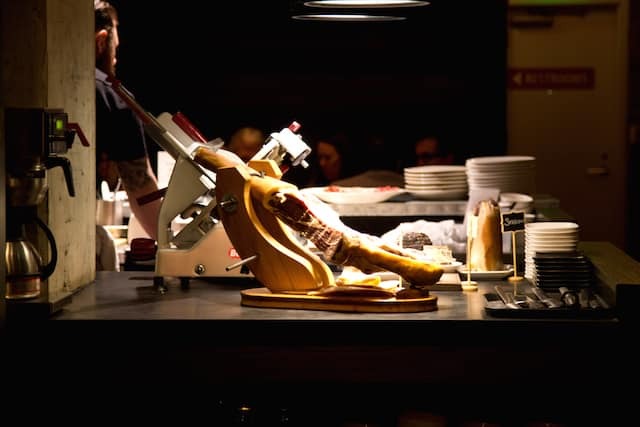 And if the list of sherries and cocktails overwhelms you so much you forget to order food, a whole leg o’ ham sits under a spotlight to remind you. 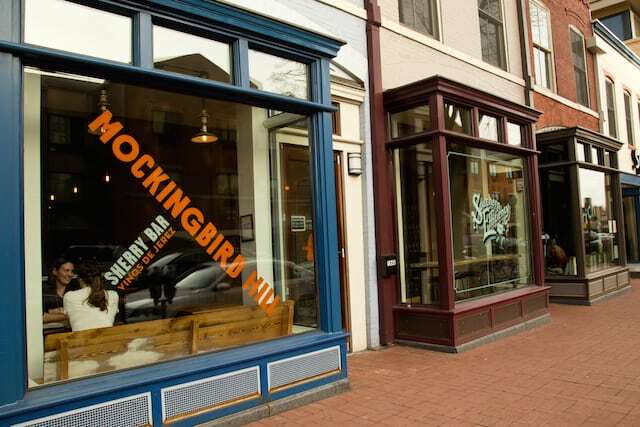 Eat the Rich, Southern Efficiency, and Mockingbird Hill—1839-1843 7th St. NW, Washington, DC. Hours and reservation availability vary by location.